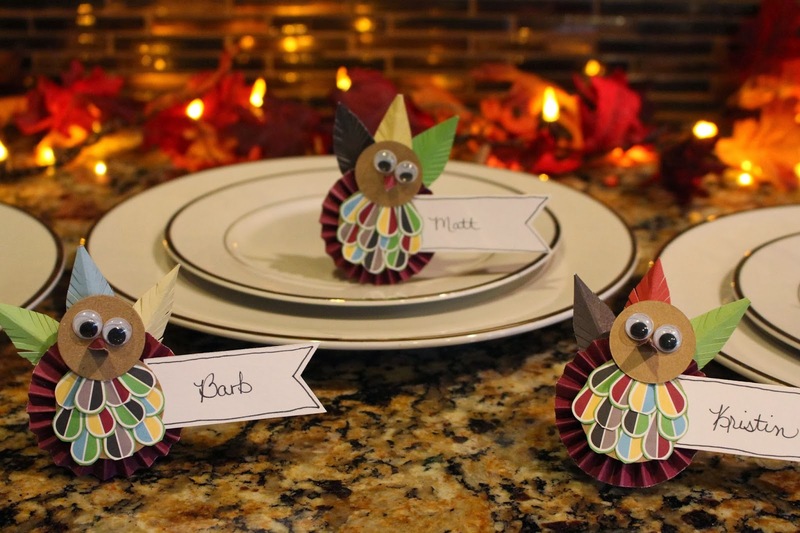 Blog Quick Quotes: Thanksgiving Inspiration with Barb! Hello! It's Barb and I am back to host the blog today! Where has November gone?! I can't believe that it is almost Thanksgiving! 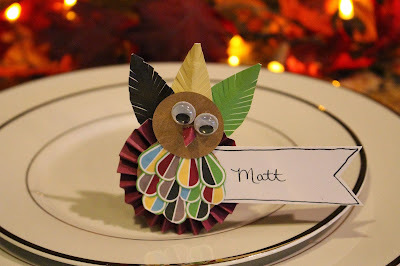 For my post today, I thought I would share a cute little Turkey Placeholder you could create to make your Thanksgiving table a little more festive! I fussy cut the raindrop shapes from this paper to create the feathers on the front of the turkey and the beaks. I also cut 1 inch strips from this paper that I accordion folded to create the body of the turkey. I used the backside of the paper for that. 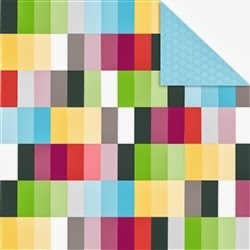 I love the color blocks on this one! I cut apart a few of the blocks (3 per turkey) and turned them into the turkey's tail feathers! The variety of colors worked perfectly for giving each of my turkeys their own personal look! These cute turkeys also look adorable as napkin rings and as decorations on gifts. I added a few as a topper on a large candy bar that I wrapped in patterned paper They made nice little gifts for my daughter to give to her teachers. 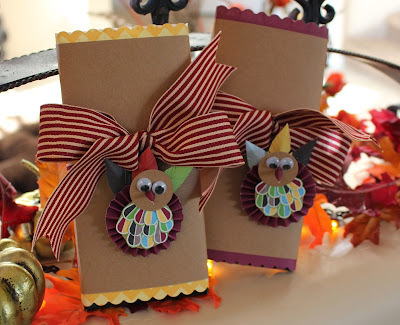 If you would like to see the step by step instructions for these cute little guys, check out my video!